Every wedding is so different, that goes for the ceremony and reception. You see the art into capturing amazing priceless, images for your clients to look back on for many years to come, this is how you capture they're wedding on that one day. I always look at everything I can possibly photograph at a wedding and for this ceremony at Palmetto Dunes, located in Hilton Head, South Carolina, this day was like no other for me. Photographing the couple during that ceremony is important however you have to keep noticing what the parent and friends reactions are. 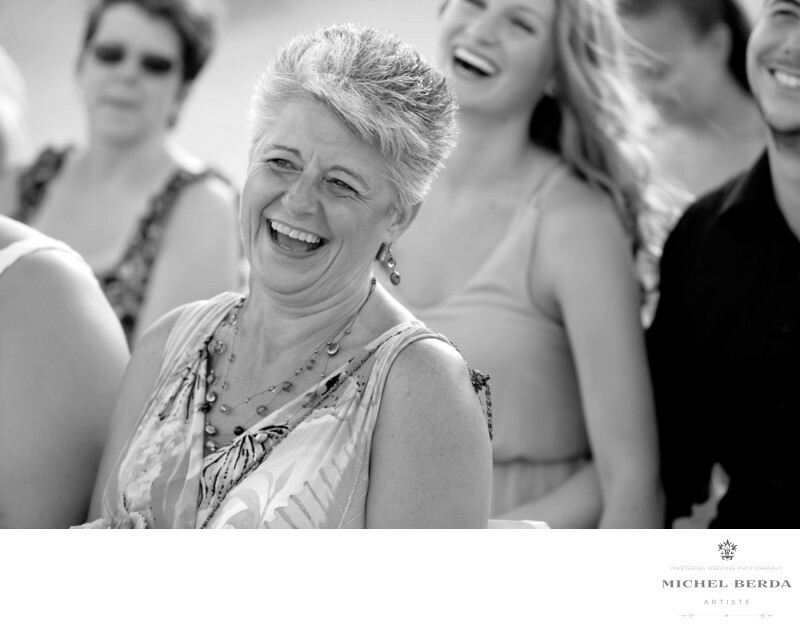 Lots of emotion, and laughter does happen just like this fantastic b&w images of the grooms mom having a great moment of laughter during the ceremony, at Palmetto Dunes, as the groom said something funny to the bride, I quickly panned my lens to her and captured it. A prefect moment. Your clients have an idea of how you will document they're wedding, but the best part is when you release those wedding images to the clients, and they see all of the wedding images from their magical day and that is why for us has historian, wedding photographers, having this great honor, is why we should always do are very best in story telling that day for our clients.Keywords: Destination Wedding Photographer (117), Hilton Head Palmetto Dunes Wedding (12), Palmetto Dunes Hilton Head Sc (12), Palmetto Dunes in HHI Weddings (12), Palmetto Dunes Wedding in Hilton Head Sc (12), Palmetto Dunes Wedding Photographer (12), sc (309), Wedding photographer In Hilton Head (66), Wedding Photographers (198), Wedding Photography (123), Weddings (168).